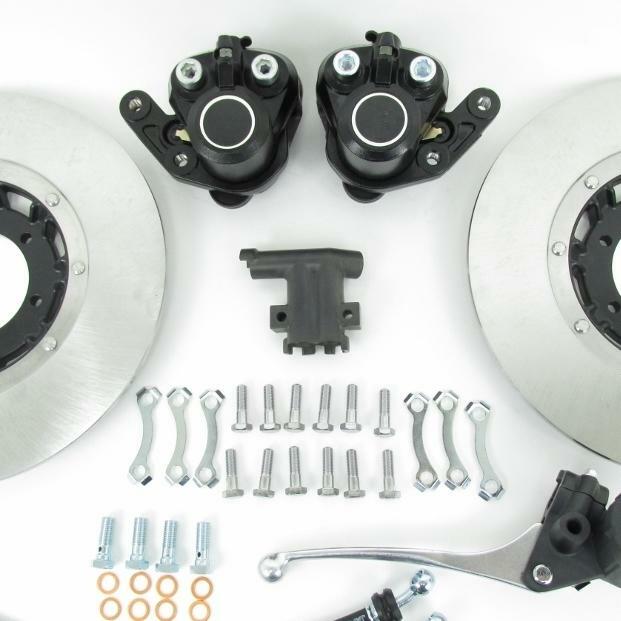 THIS IS A COMPLETE BRAKE KIT, TWIN DISK SET UP FOR THE Z1 Z1A Z1B AND THE 500 H1B/D/E/F AND THE 750 H2 H2A H2B H2C MODELS UP TO 1975. YOU GET TWO CALIPERS with pads, TWO DISCS, 5/8 MASTER CYLINDER AND THE 3 RUBBER BRAKE LINES and 2 metal lines, 4 WAY SPLITTER AND ALL THE FITTINGS. reproduction parts.